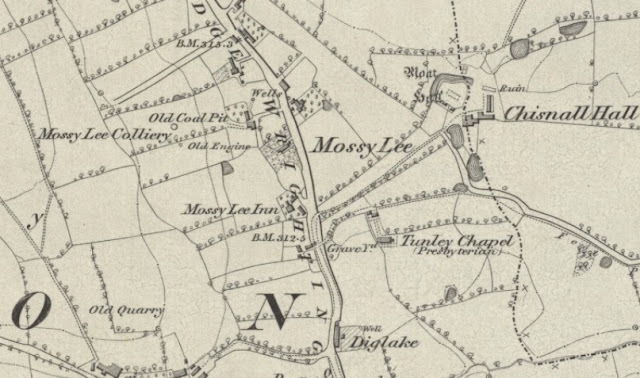 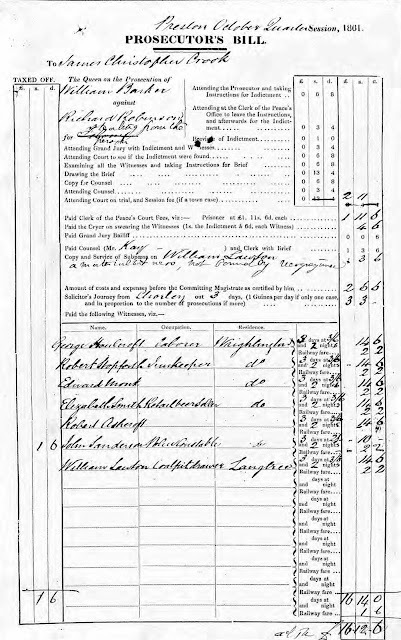 The Hind's Head Inn was already in existence in 1825 as the directory below confirms and for a period of time in the 1840's was actually known as the Mossy Lee Inn but this was short-lived as by 1851 it had reverted back to the Hind's Head Inn. 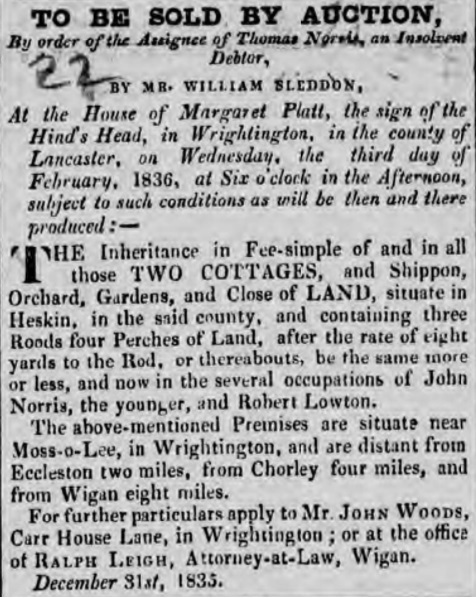 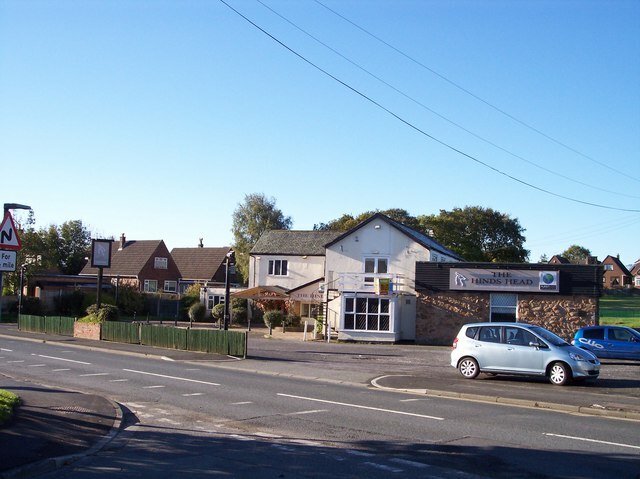 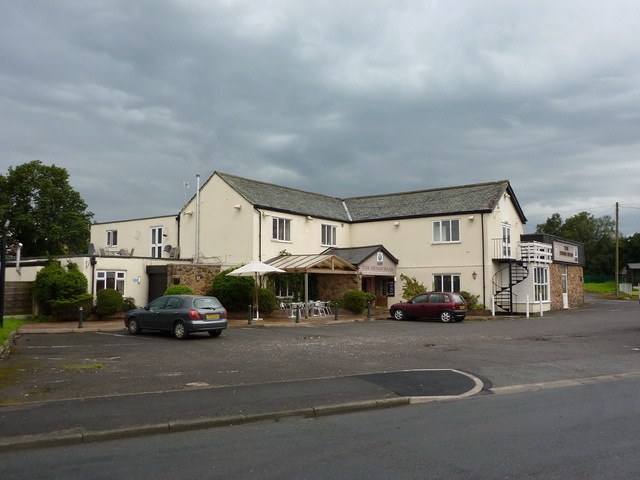 Listed landlords were Joseph Eaton (1825), Margaret Platt (1836-41), Robert Stopforth (1851-71), Ann Stopforth (1881), Richard Green (1891), John Jerstice (1900-01), Thomas Houghton (1905) and Peter Houghton (1911). 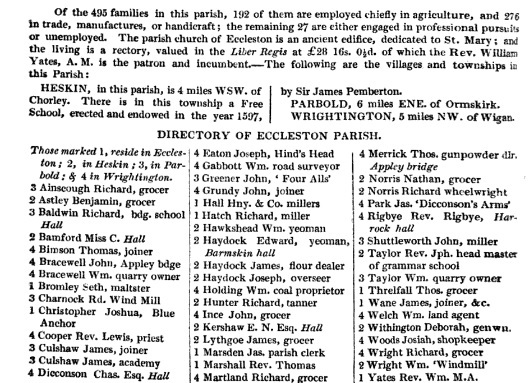 Baptism: 22 Jun 1868 St James the Great, Wrightington, Lancs. 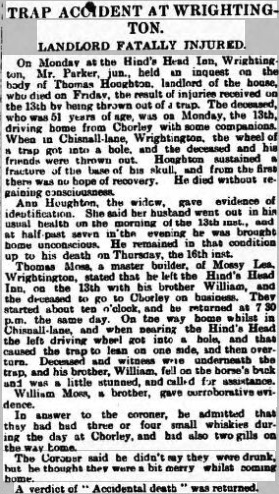 In 1878 Robert Stopforth died, leaving Ann to run the Hinds Head on her own. 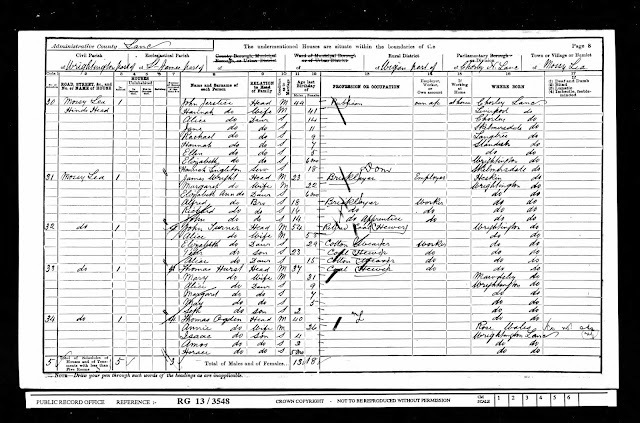 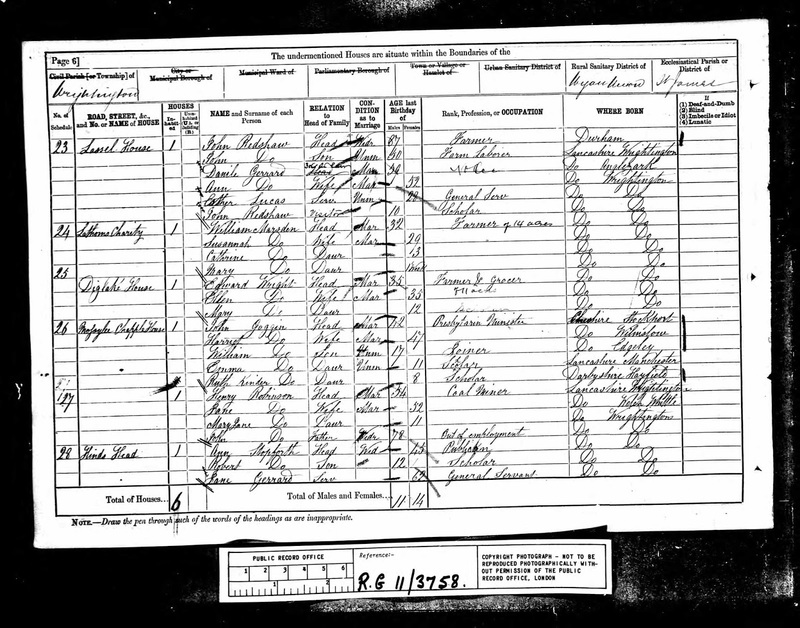 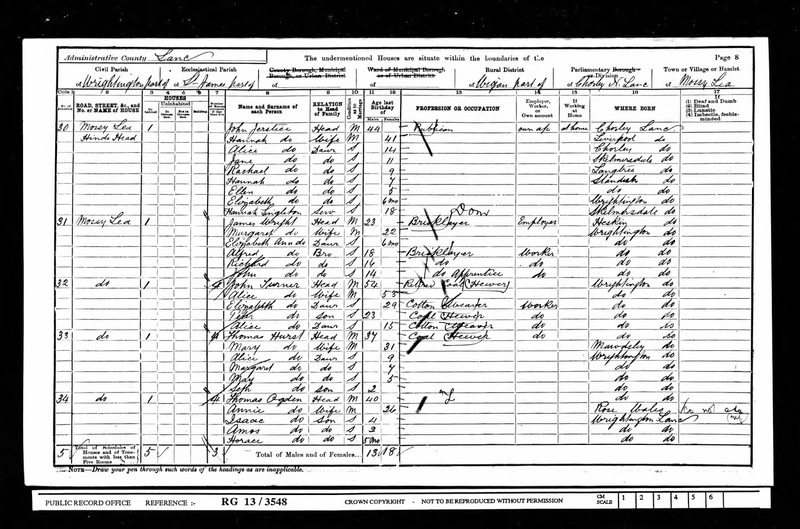 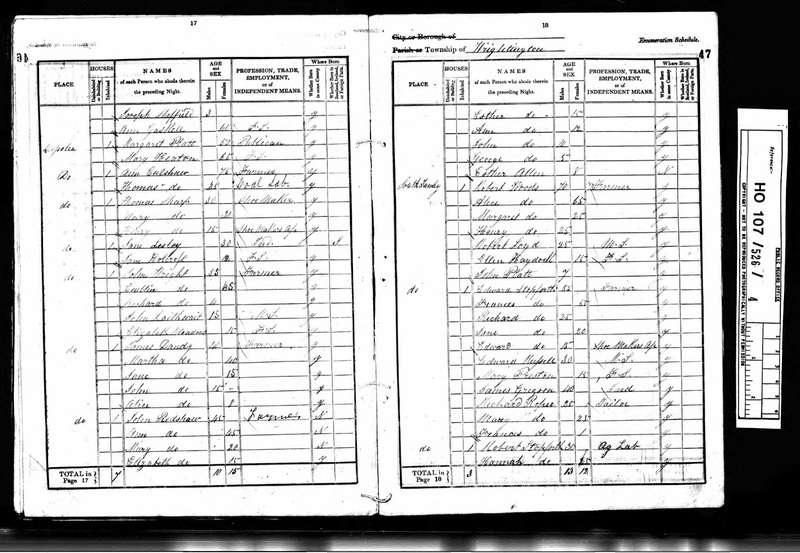 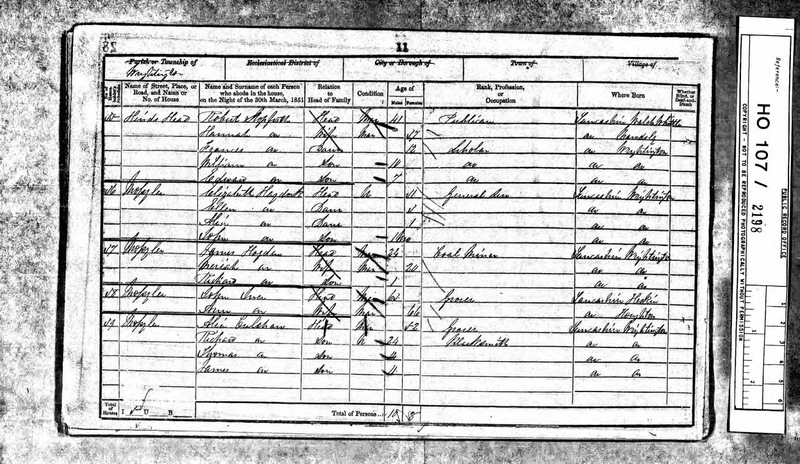 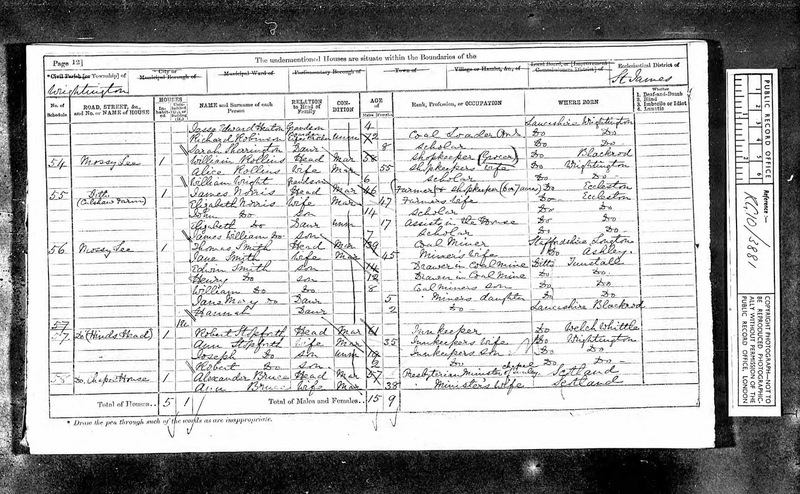 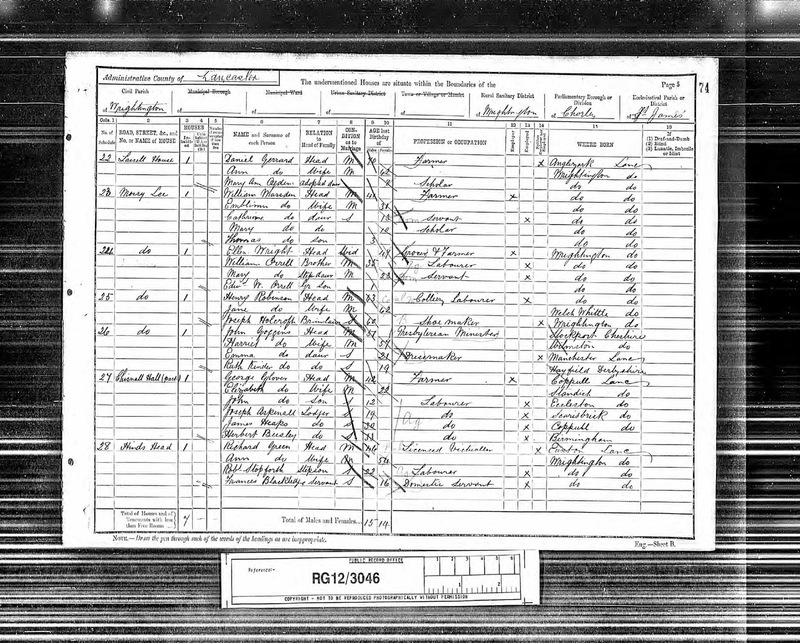 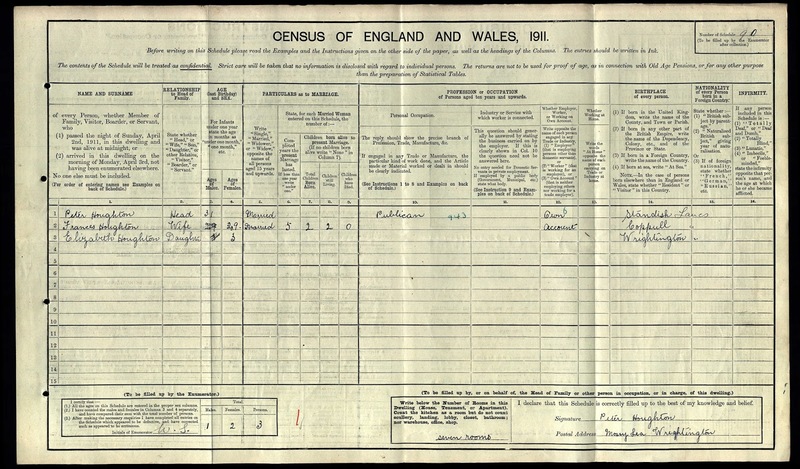 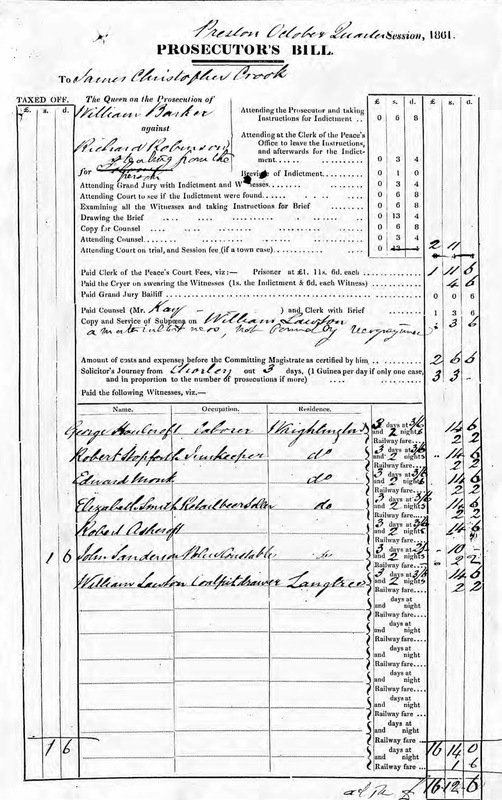 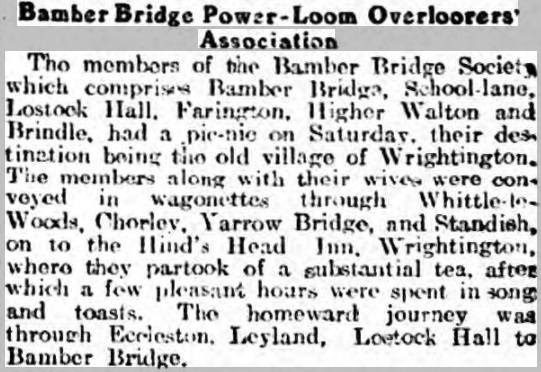 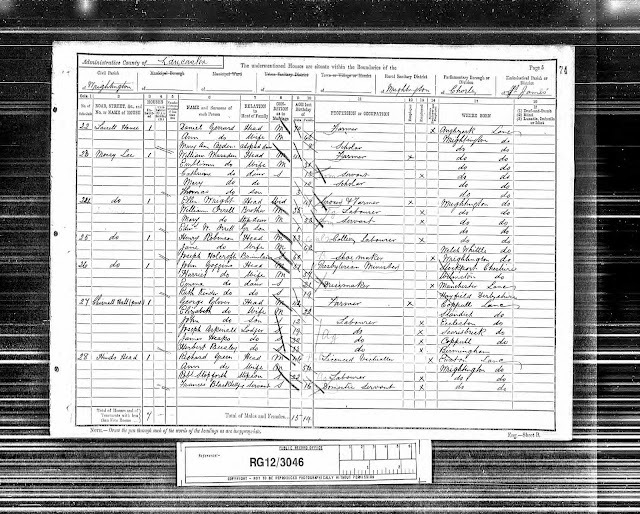 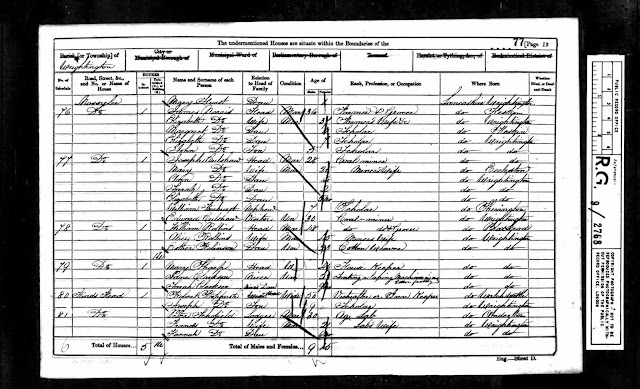 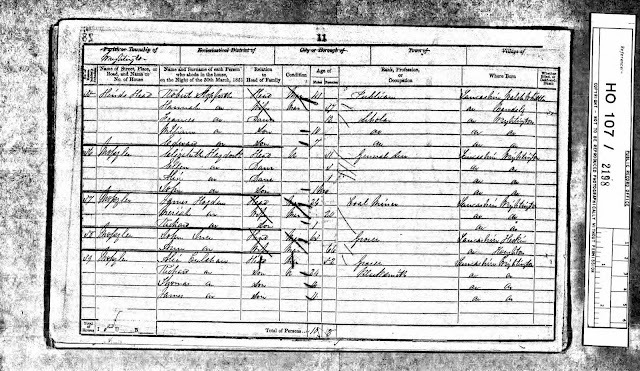 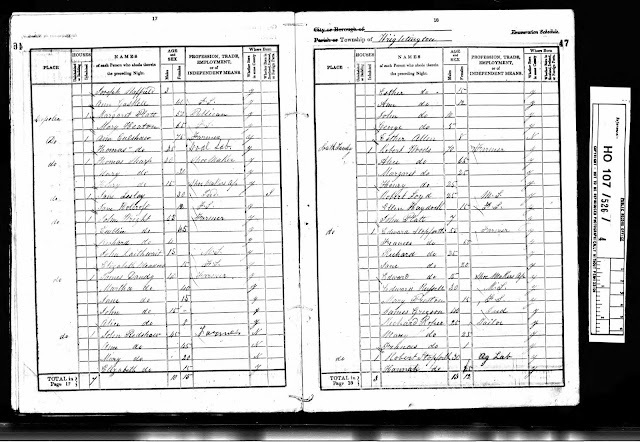 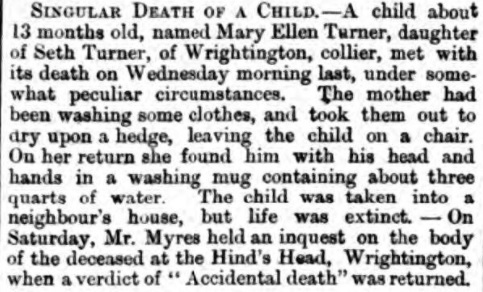 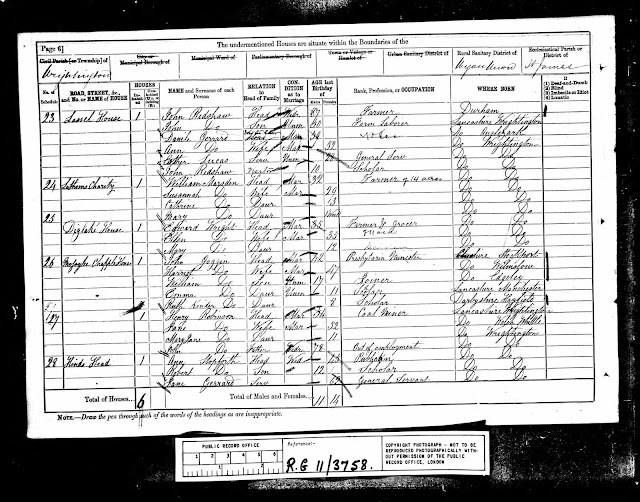 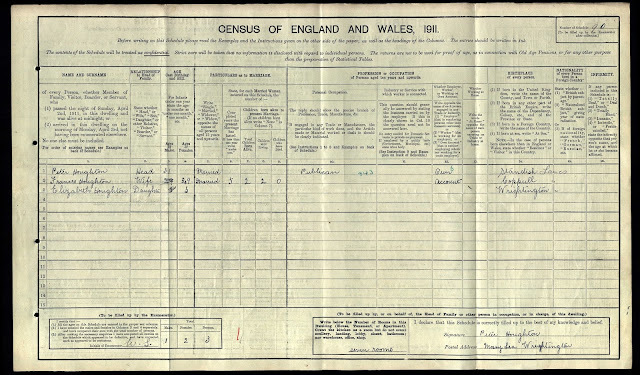 By the time of the 1891 census she was 54 years old and running the Hinds Head with her 2nd husband Richard Green, who is shown as the licenced Victualler. 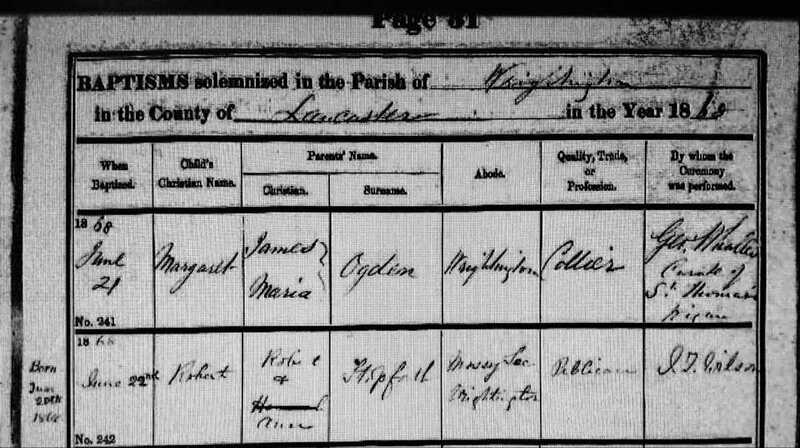 Ann's son Robert 22 years is a labourer. 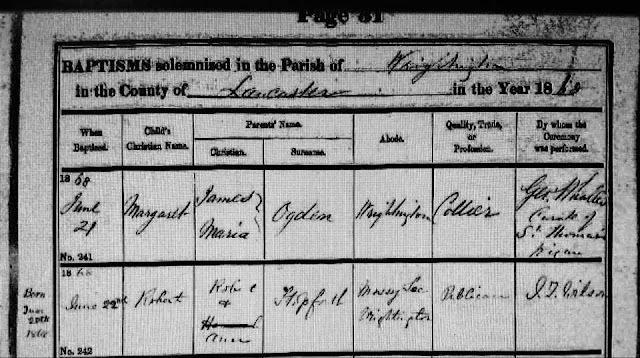 Baptism: 21 Oct 1900 St James the Great, Wrightington, Lancs. 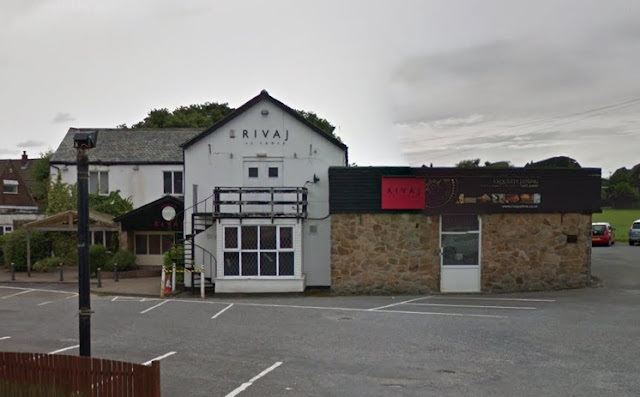 The Hind's Head is still open today but is now a modern Indian restaurant called Rivaj.